The past few days my computer use has been limited. For my current job I'm painting 2 custom made vanities and all the cabinets that go along with them. Needless to say my kitchen counters and table, where I usually sit with my computer, are covered in cabinets! I'm using oil paint and each drawer front and cabinet, front and back, require a minimum of two coats. 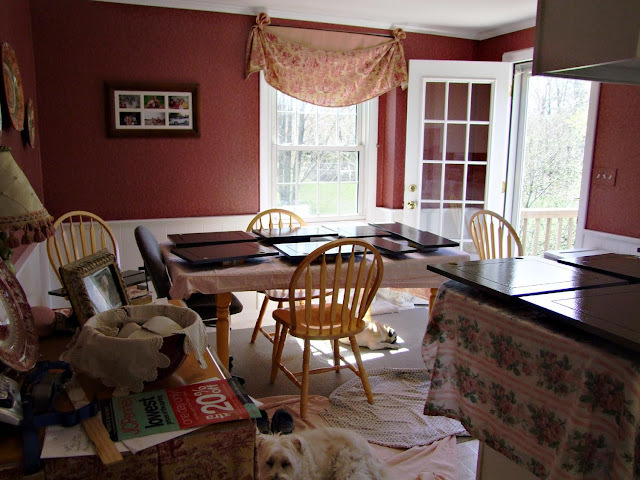 Since I have to wait 24 hours between coats ... well, I'm looking at a minimum of 5 days with out my kitchen table! What a disaster this place is. Good thing you can't see the rest of the kitchen. Tonight I could take it no longer and decided to clear a spot for me. So here I am! Yesterday afternoon I went to Portsmouth to see what I could find to photograph. The wind was cold and harsh, though you'd never know it from the photos below. I was actually shaking by the time I got back in the car. And then some guy walks by in a short sleeved t-shirt! My skin is just too thin these days. The colors were so amazing! Maybe I'll get back to photograph the tree's reflections in the water on a warmer day. And to think today we had bitter cold rain and hail. It's supposed to be in the 40's all week-end. Brrr . . . I'll be so glad when it warms back up a little bit next week! Love that first shot and it's amazing color. Our temps have been quite warm but heading into the 60's this week-end which is a 20 degree drop. I know what you mean by thin skin. My teeth totally chatter some days. Guess I just lived in Arizona for too many decades. Good luck with the kitchen! I know you are doing an awesome job. What lovely pictures. I can almost smell the heavenly fragrance. P.S. 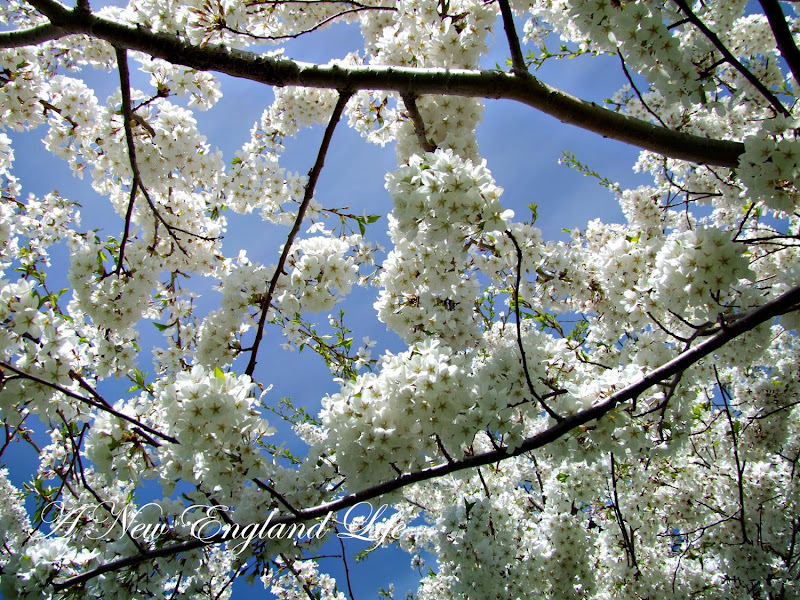 The trees with their white blooms remind me of a couple of months ago when the trees were dressed in the white lace of snow. I love your photos. Those trees are just so white and gorgeous. All our blooms down here are almost gone. I am sorry it is still cold there. It was 86 here today which is way above normal. It has gotten hot too early. Suppose to get back to where it should be next week, which is low seventies. 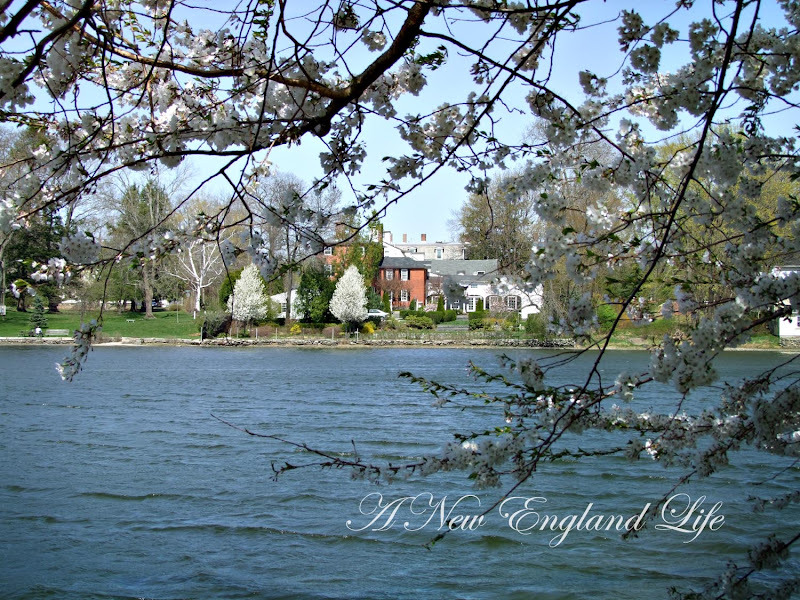 Walking down memory lane - so grateful for the five blessed years we got to live in CT and MA and see beauty like this. Closing my eyes and inhaling the fragrance! Thanks for the gorgeous photos! Is that Portsmouth, New Hampshire? Amazing shots, I enjoyed them so much. Is that a crabapple? I will trade weather with you! Talked with my aunt in Rye today, she said they had rain. I asked if it was snowing since it was reported on the news today. She said the snow was further north. Love these photos! Wow! Just beautiful, I can smell the apple blossoms as I type. We received snow this afternoon and now it is sleeting. Who knows what tomorrow will bring! My goodness your photos are unbelievably beautiful!!!! The flowering trees this time of year are gorgeous. I have a question for you...do you have any hints/tips on taking photos of moving objects? I'm going to see a figure skating event and am not sure how to capture the best shots. I'm in the front row and have a great camera (Nikon D90). I'm still an amateur, so I'm still learning. Thanks in advance for any help!! You captured the best of spring! Good thing photos don't have temperature readings, since it was really cold. Very pretty. Ooh it looks so pretty. Yes the winter farmers market is at the Exeter high school. Next month the summer market will start at Swazey. 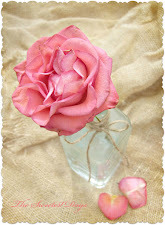 Such a gorgeous post and blog. Beautiful! Blooming trees have leafed out here now, but the azaleas are in their glory. Has cooled down here - 40's next 3 nights, high 60's next couple of days. WOW, vivid imagery of spring Sharon! 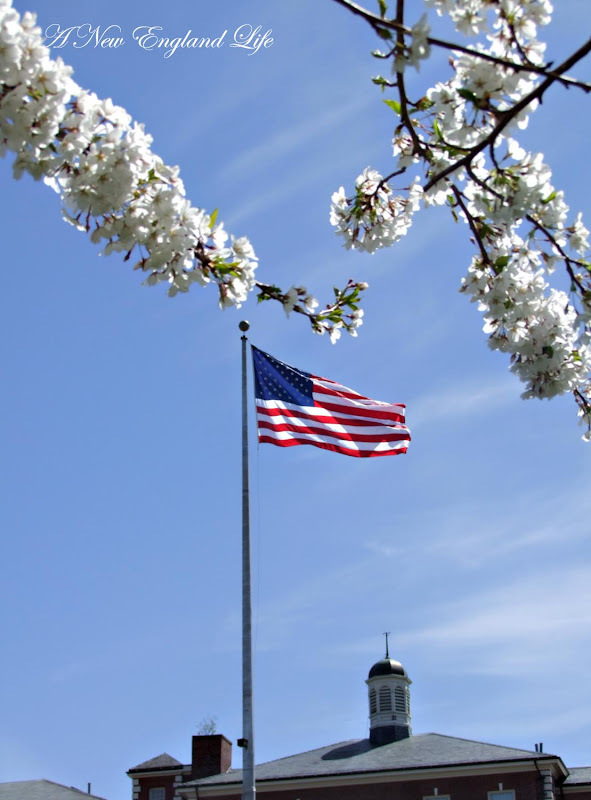 Love the flag/blossom photo. We woke this morning to snow falling and on the ground. It melted a short time later. They are calling for one to two inches more tonight. I love those white blossoms against the dark branches! Just gorgeous. Looks great against the blue sky. You certainly have an eye for pictures! You're right - can't tell it was cold that day! We're in the Seattle area now and it's cool and damp. Gotta get used to the DAMPNESS after being in Arizona for so long! Oh my gosh, your photos are tremendous as usual. Reminds me why I love New England so much. Haven't been since 2003. Think it's time to go back for a visit. I'm so glad I found your blog. Love it! 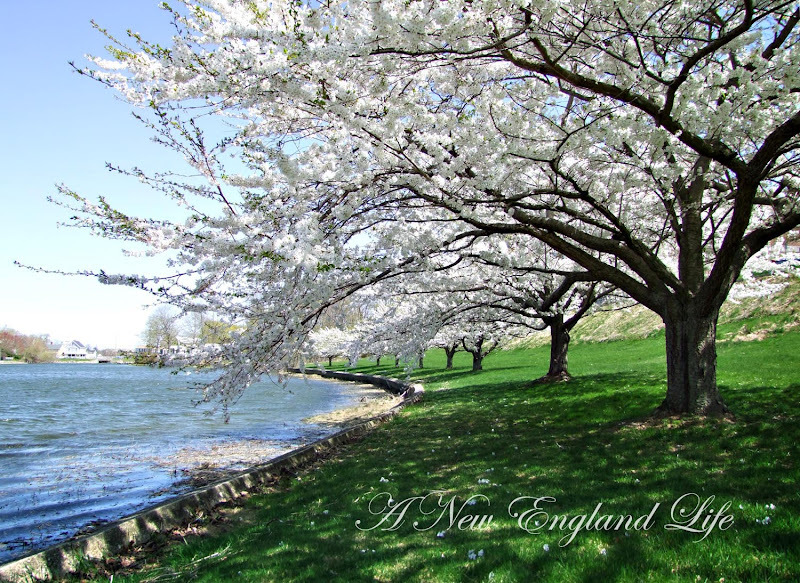 I love how beautiful New England is. And I love having you share it. These are all exceptional photos, Sharon. Wow. Those beautiful white blossoms make me green with envy, Sharon! 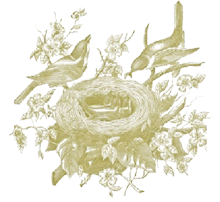 I lived in Oregon for several years and always loved the coming of spring. Here in the desert, however, spring and fall are just words. I don't envy you weather, not yet at least. It was 90 here today and it will continue to get hotter and hotter for the next few months. Gosh, it has been so chilly lately. Your shots are so pretty I especially like the one with the flag. Portsmouth is a gem and a great place for photos. OMG...those blossoms are breathtaking..just gorgeous shots, Sharon! Your kitchen is beautiful even when being used up by cabinets Sharon. I love the trees! Great photos!! 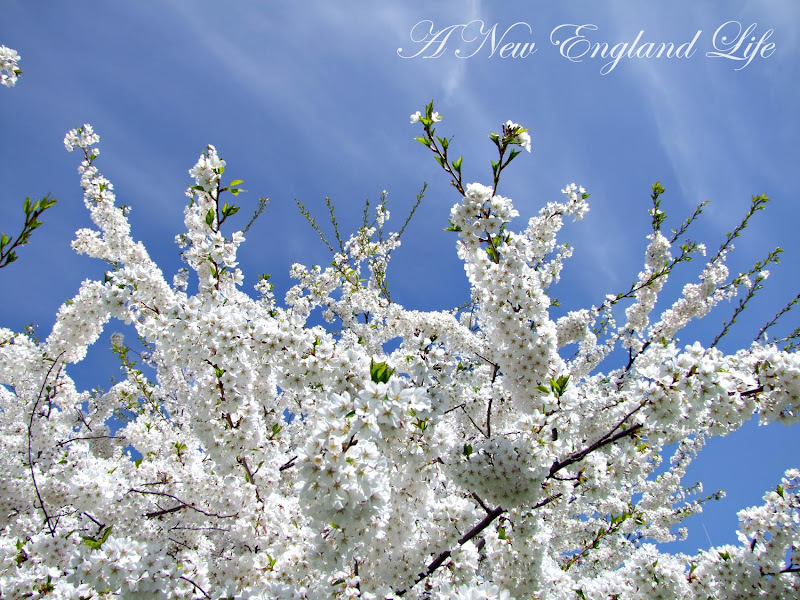 you have made me all homesick for New England in spring time with your darling collection of photos.